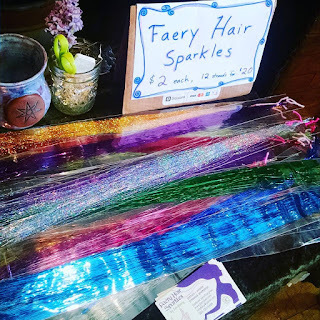 Faery Hair Sparkles service in Portland, Oregon. Thursday, March 31st: 4-6pm, Faery Hair at Sound Grounds Cafe, 37th and SE Belmont, Portland. drop in! Tuesday, April 5th: 3-5pm, Tuesday Twinklings at Ristretto Roastery, 555 NE Couch St, Portland, happy hour specials, drop in! Friday, April 8th: 1-6pm, Faery Hair Friday at the Fernie Brae, 41st and SE Hawthorne, Portland, drop in! 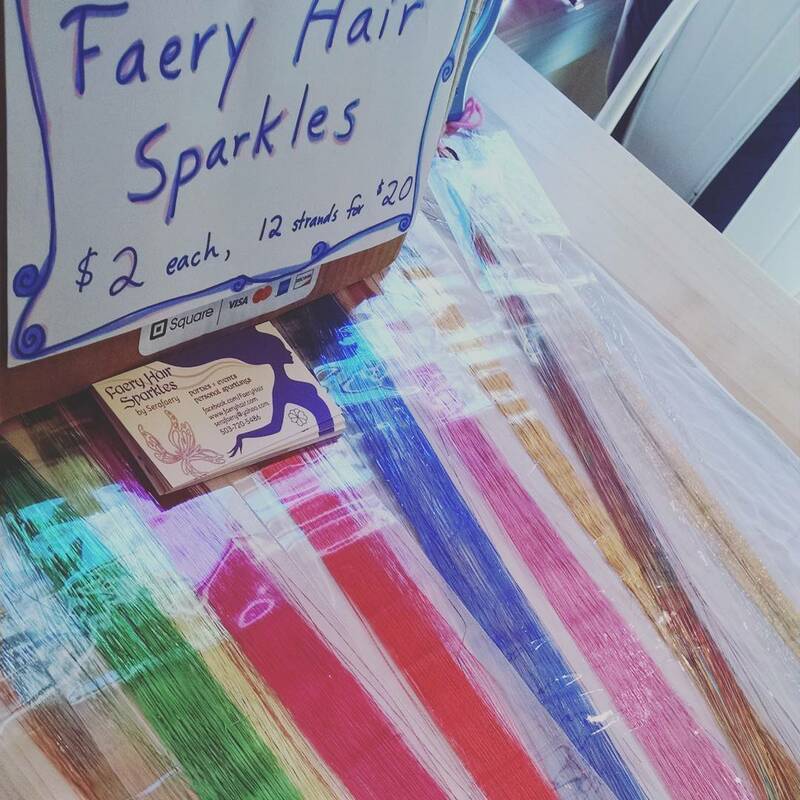 Wednesday, April 13th: 4-8pm, 2nd Wednesday Happy Hour Faery Hair Sparkles at Belmont Station, 4500 SE Stark St, all ages until 7pm, drop in! Friday, April 15th: 1-6pm, Faery Hair Friday at the Fernie Brae, 41st and SE Hawthorne, Portland, drop in! Friday, April 15th: 7-10pm, Faery Hair for Offbeat Belly Dance, Analog Cafe, 720 SE Hawthore, drop in! Friday, April 22nd: 1-6pm, Faery Hair Friday at the Fernie Brae, 41st and SE Hawthorne, Portland, drop in! Friday, April 29th: 1-6pm, Faery Hair Friday at the Fernie Brae, 41st and SE Hawthorne, Portland, drop in! Saturday sparkles happening 1-4pm today at Sound Grounds Cafe, 3701 SE Belmont st, for their 10th Anniversary Jubilee, with kid favorites Olive and Dingo! Drop by anytime for Faery Hair. Purple and Teal are back in stock! Saturday, March 26th: 12-4pm, Afternoon Anniversary craft fair and celebration at Sound Grounds Cafe, 37th and SE Belmont, Portland. drop in! Sunday, March 27th: Happy Easter if you celebrate! Tuesday, March 29th: 10:30am-1pm, Faery Hair for Tuesday Twinklings at Townshends Tea, 2223 NE Alberta St, Portland. drop in! Friday, April 1st: 1-6pm, Faery Hair Friday at the Fernie Brae, 41st and SE Hawthorne, Portland, drop in! I'll be at Albina Press coffeehouse 10:30am-1pm for Tuesday Twinklings, 5012 SE Hawthorne. One appt for 11am and the rest is open for sparkles, drop by anytime! 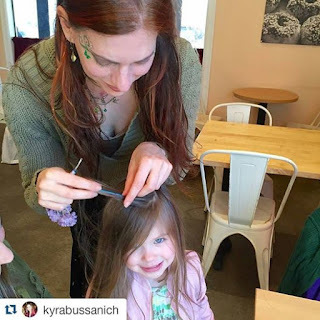 Tuesday, March 22nd: 10:30am-1pm, Faery Hair for Tuesday Twinklings at Albina Press, 5012 SE Hawthorne, Portland, drop in! 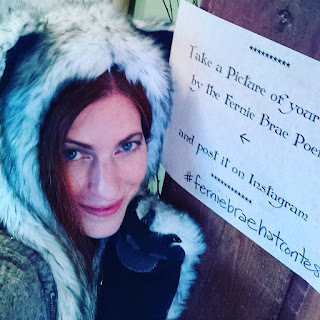 Friday, March 25th: 1pm-6pm, Faery Hair Friday at the Fernie Brae, 41st and SE Hawthorne, Portland, drop in! Saturday, March 26th: 12-5pm, Afternoon Anniversary craft fair and celebration at Sound Grounds Cafe, 37th and SE Belmont, Portland. drop in! Tuesday, March 15th: 3pm-6pm, Faery Hair Friday at Ristretto Roastery, 555 NE Couch St (near the Burnside Bridge), drop in! ♣Thursday, March 17th: 12-3pm, Faery Hair for St Patrick's Day at Kyra's Bake Shop, 599 A Ave, Lake Oswego, drop in for sparkles and tasty gluten free treats! 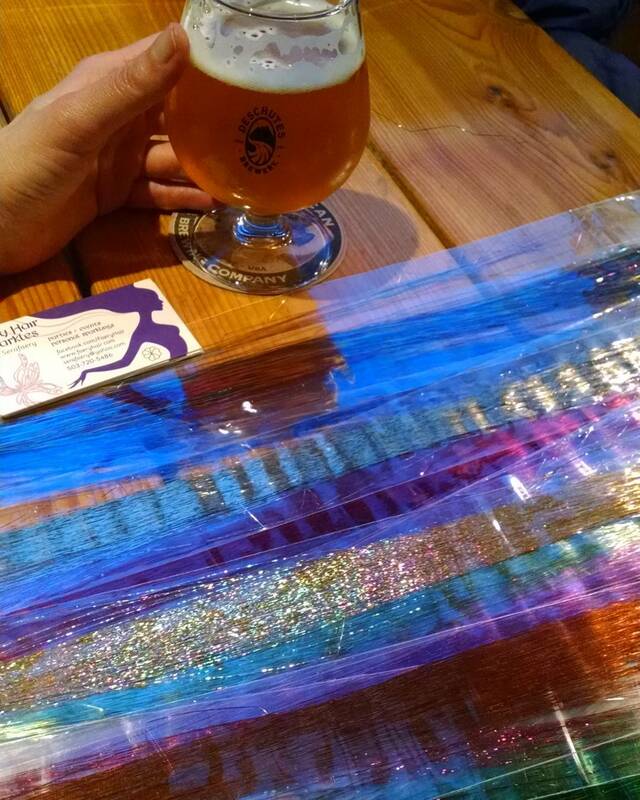 Thursday, March 17th: 4-5pm, swinging by for a pint at Katie O'Brien's, NE 28th and Sandy Blvd, drop me a note if you'd like some sparkles! Friday, March 18th: 1pm-6pm, Faery Hair Friday at the Fernie Brae, 41st and SE Hawthorne, Portland, drop in! ***Saturday, March 19th: 7-10pm, Faery Hair for Offbeat Belly Dance, Analog Cafe, 720 SE Hawthore, drop in! Special Saturday Offbeat Event! Sunday, March 20th: Blessed Ostara! Saturday, March 26th: 12-5pm, Faery Hair for Anniversary Party and Craft Fair at Sound Grounds Cafe, SE 37th and Belmont, drop in! Friday, March 11th: 1pm-6pm, Faery Hair Friday at the Fernie Brae, 41st and SE Hawthorne, Portland, drop in! Friday, March 18th: 7-10pm, Faery Hair for Offbeat Belly Dance, Analog Cafe, 720 SE Hawthore, drop in! Saturday, March 26th: Afternoon Anniversary craft fair and celebration at Sound Grounds Cafe, check back for details! Faery Hair Friday at the Fernie Brae on SE 41st and Hawthorne tomorrow and every week,. I'll make a special appearance there Sunday, March 6th from 11am-2pm for the SE Portland Art Walk. 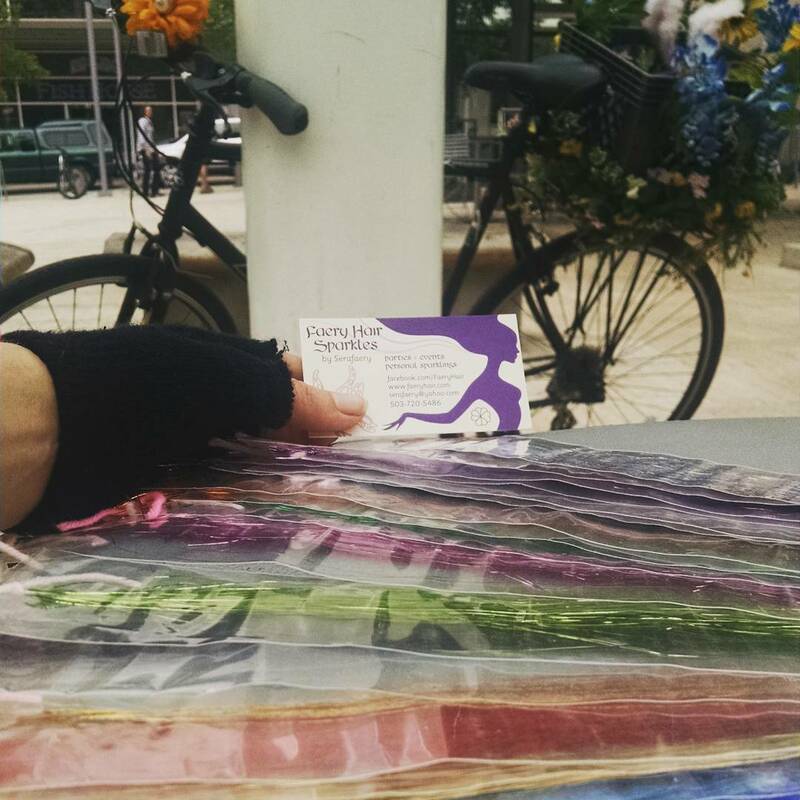 Thursday, March 3rd: 11-1pm, First Thursday Sparkles by Bike, Grand Central Bakery Belmont, 4440 NE Fremont St, Portland, drop in! Friday, March 4th: 1pm-6pm, Faery Hair Friday at the Fernie Brae, 41st and SE Hawthorne, Portland, drop in! Sunday, March 6th: 11am-2pm, Faery Hair at the Fernie Brae for the SE Portland Art Walk, 41st and SE Hawthorne St, Portland, drop in! Wednesday, March 9th: 5-8pm, 2nd Wednesday Happy Hour Sparkles at Belmont Station, 4500 SE Stark St, Portland, all ages, drop in! Serafaery has been faery hair sparkling in Portland for over five years, with the help of her sparkle buddy, Pixie.